Home » BellaVita Land Corp. 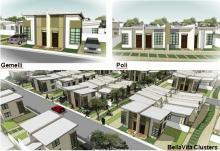 Introducing BellaVita, a residential project developed by BellaVita Land Corp., a wholly owned subsidiary of Ayala Land. BellaVita aims to bring Ayala Land’s singular vision of enhancing land ang enriching lives for more people.